We just tallied up the results from our third installment of the Who Sets the Table? survey series and, once again, found that women are still mostly responsible for making holidays happen at home and getting folks to synagogue. Below is a compilation of your stories along with your answers to our survey questions. Whether this is a source of joy or resentment for women — and I imagine in most cases it is a little bit of both — I think we could all agree that our moms, wives and girlfriends could use a break. So here’s a thought: After reading this tell the balebuste in your life that you are going to take care of dinner tonight or scheduling the kids for the weekend. Or, a better, if less probable, idea: Someone should start a Birthright-type program for moms with the goal of supporting the women who support the Jews. Except no need to schlep them all the way to Israel. A trip to a decent hotel in Florida in mid to late October will do, somewhere that has nice salads and a quiet place to read. They could really use some R&R. I feel like this year really broke me. Doing the bulk of the labor, plus working full time, plus having three small kids is a lot. But, I love having friends over for holiday meals. I never imagined I’d be in such a traditionally gendered labor division and worry that my husband and I are not great role models for our kids. My daughter recently said, “How come moms do all the work?” But my husband works longer hours than I do and has no interest or ability or experience cooking or doing kitchen cleanup. He says we should hire someone to cook and clean, but I resist. Maybe I feel uncomfortable with it? Or feel like because my mom did it, I should do it? But I see his point. I think he should do more housework in general. So most of it is on me, the woman, because of my husband’s work schedule. I am mostly okay with it, even though sometimes it’s exhausting. The only thing that we’re working on changing is finding ways to incorporate my husband’s help, like in clearing the table and cleaning up. Since I’m on my own so much (and a little type A, if I’m being honest), it’s often easier for me to just do it myself. But I want my children to see him helping, and I want him to be able to contribute in this way. I feel like gender roles in our household are a little more traditional, just because the wife is a more responsible human being. It is painful to always be the “responsible” one because I am also a full time physician. I have never been a stay-at-home mom. I wish my husband would take more initiative and do more. I am the one buying the shul tickets, cooking ahead, figuring out kids’ programming schedules, etc. It is exhausting and frustrating to know that if I were not doing it, the rest of the household would not have this Jewish experience, as he would not create it. I am in a mainly Conservative, but diverse, community with very strong, organized and connected women who are my friends. All of the friends that I had dinner with this Rosh Hashanah are in a long-term relationship or have been married for about the same time. In our discussions, our experiences seem very similar: Women cook, clean, prepare the house, take care of children in services and lead our families. Much of the projects that involve repairs or moving of heavier furniture in the house are done by the — in our lives — men. And the time and work they take tend to equal the time and work we, as women, do. We have worked really hard to have an equitable distribution of labor in our household. Before having our child, we did very well at making it 50/50, but now we are adjusting to him doing more than me, since he is working 60% time and I am working full-time. I’m incredibly happy with where we’re at right now. I am happy that my husband shares in the preparation and cooking. I do not handle, nor buy, red meat, so we would not have a holiday brisket if it weren’t for him. I’m a woman married to a man. I feel like, overall, the High Holiday labor breakdown works well. I do most of the planning, but then, I love to do it. My husband does a lot of the work, though: most of the cleaning before and after, and lots of cooking. Not sure how it will change after we have kids though. How we divide labor changes each year, as our job responsibilities change. So, while I was a SAHM [Stay At Home Mom] for many years, or had more flexible work, I did a lot of the heavy lifting for Shabbat and chagim. Now that my work is more demanding, my husband does 90% of the Shabbat cooking and shopping. But I still do most of the inviting and am the one to coordinate what we bring to others’ tables as guests. My partner isn’t Jewish, so it makes sense that she doesn’t handle menu planning or services arrangements, but overall division of labor in our household is unfair and a point of ongoing conflict in the relationship. I’m in an interfaith marriage, so I do it all being the Jewish one. We are fairly nontraditional when it comes to the High Holidays. We often host a potluck or eat out before Kol Nidre. We aren’t 50/50 in our house, but we are close to around 60/40 when it comes to the division of labor. As the person that does more, it’s not so much the physical labor I wish I had more help with, but with the mental labor, including the planning and inviting. 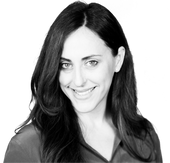 This story "Why Jewish Women Are Extra Tired This Week" was written by Elissa Strauss.